The Ministry of Defence (MOD) and not-for-profit TechVets have launched a training programme to train the next generation of cyber warriors and technology experts. The cyber security and technology sector is growing rapidly, and veterans can contribute unique skillsets and experiences. However, currently only 4% of veterans are working in the technology sector, compared to 24% of non-veterans. 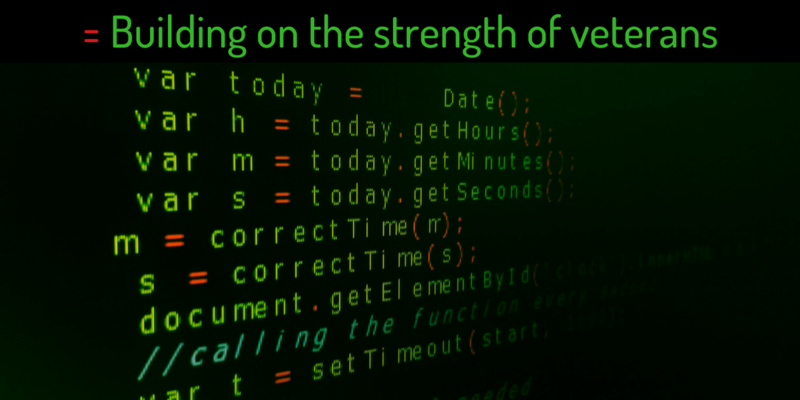 TechVets will work with MOD's Career Transition Partnership (CTP) to deliver training and employment opportunities to veterans who want to start a career in technology and cyber security. Supporting their employees' service as members of the Reserve forces by facilitating their training and deployment. Flexibility with granting leave for Service spouses and partners before, during and after the partner's deployment. Offering support to cadet units in local community and schools. Minister for Defence People and Veterans, Tobias Ellwood said: "We're delighted to be able to sign the Armed Forces Covenant and strengthen our support for current and former Service personnel and their families. The transferable skills of the veteran community are a real underutilised national resource and have a vital role to play in supporting the security and prosperity of the nation." For more employment information, see our guides about education and training, job seeking and self employment.